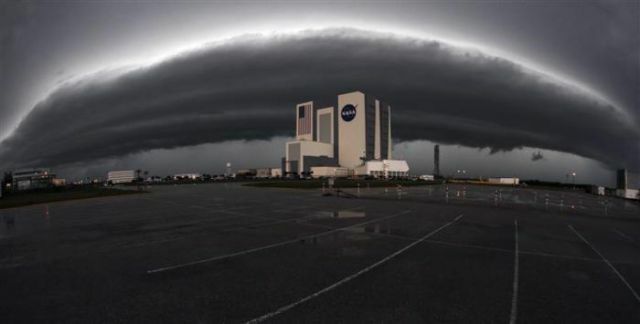 Severe weather moves in over the vehicle assembly building at the Kennedy Space Center in Cape Canaveral, Florida March 31, 2011.
the Nothing has made it's way to NASA! Everything is Hip.. Stop asking! They would never leave it!! Give it a try IZI.. Just add a must leave picture!